Obverse: King in imperial attire facing, standing with St Constantine holding double cross banner together. There is no legend on this type. St Constantine is holding his own smaller banner or scepter. Legend CTEФANOC PIZ ("Stefan King") on the left and on the right side KONCTANTH ("Constantine") referring to Constantine the Great, also known as Constantine I who was a Roman Emperor who ruled between 306 and 337 AD and born on the territory of today's Niš Serbia. Reverse: Jesus Christ sitting on the throne. Latin Legend: IC - XC, ("Jesus Christ"). Comment: Extremely rare coin. 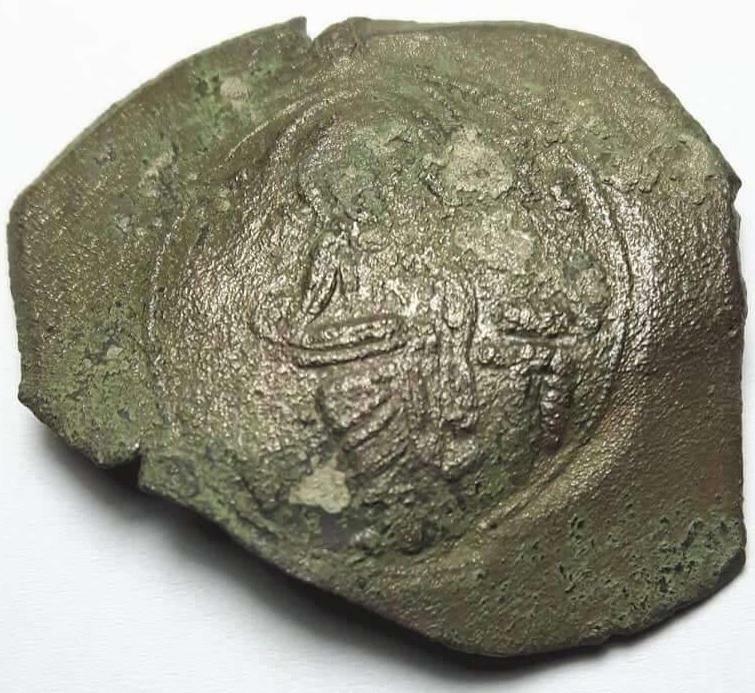 There are only 18 coins of this type known to exist including this one and one below. Lovely toning, patina and natural aging always a contributor to its authenticity, good detail with visible legend. Coin has been clipped on two sides. These coins are so hard to get by and so very rare that having one in any condition its just amazing. 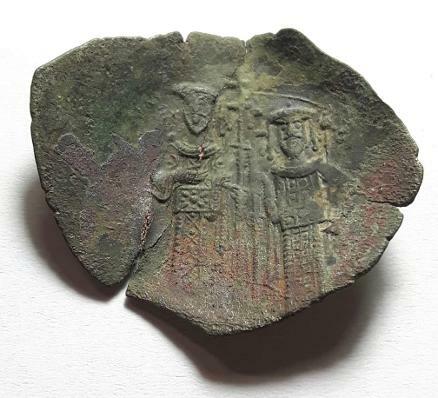 Part of Skadar lot found around Skadar Lake area which was part of Serbian Kingdom at the time. Obverse: King in imperial attire facing, standing with St Constantine holding double cross banner together. There is no visible legend. St Constantine is holding his own smaller banner or scepter. Legend CTEФANOC PIZ ("Stefan King") on the left and on the right side KONCTANTH ("Constantine") referring to Constantine the Great, also known as Constantine I who was a Roman Emperor who ruled between 306 and 337 AD and born on the territory of today's Niš Serbia. Comment: Extremely rare coin. There are only 18 coins of this type known to exist. Lovely coloring, natural aging and patina, good detail but legend not very visible. Coin has big crack on the top and on the bottom. It is also part of Skadar lot found around Skadar Lake area. 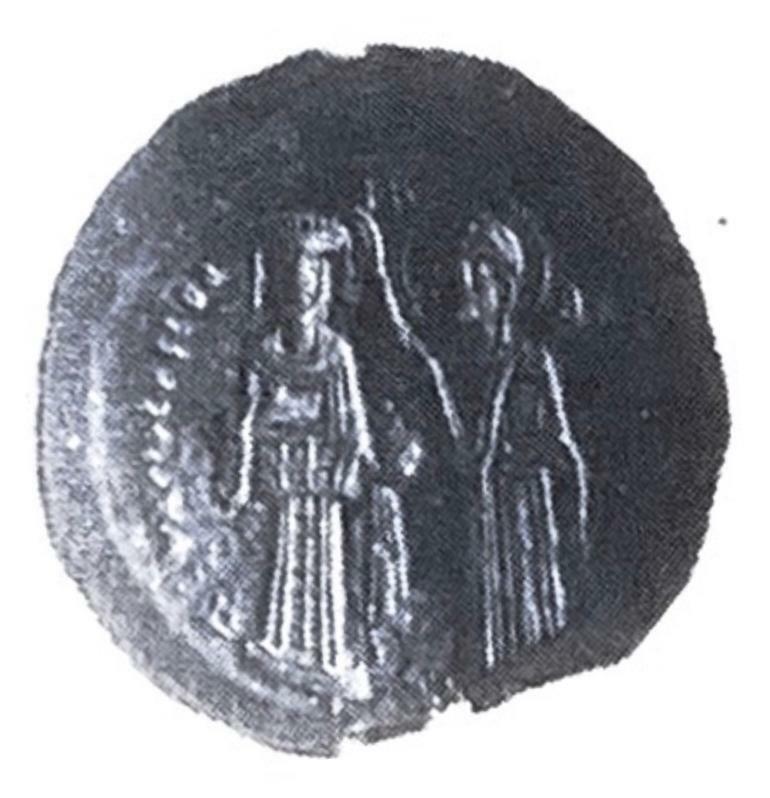 Obverse: King in imperial attire receiving blessing from Jesus or Jesus putting crown on his head and holding globus cruciger in his left hand, Christ holding Gospel in his left hand. Comment: Extremely, extremelyrare coin. Mints were located near many silver mines like Brskovo, Rudnik, Trepca, Srebrenica and Novo Brdo, Only 3 silver coins are known to exist and 2 are kept in Peoples Museum in Belgrade Serbia. 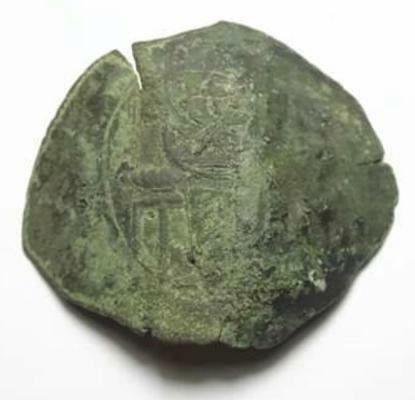 Please check Home Page for comparison with other known King Radoslav silver and copper coins. Interestingly this coin is same weight 4.7g as a coin featured in NZ XVII 1914 p195 Par 5 by Dr Karl Stockert. Found in Serbia in Novi Pazar area. For a single or multiple purchases we will charge a fixed £16.95 registered sign for tracked postage. Please use Contact Us page to make an order or request more information.